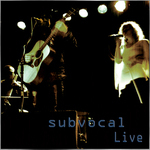 Sign up for Broadjam today to follow subvocal, and be notified when they upload new stuff or update their news! 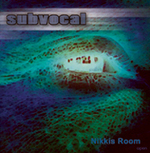 Here it is, the first full-length release from Subvocal, Nikki's Room. DNA Studio's Brian Daly and Mark Adkins have turned out a gorgeously haunting recording, one of which Roger Waters and Peter Gabriel would be equally proud. Something tells me, however, that deeper and darker forces were at work in order to bring forth what can only be described in musical terms as "song painting," or, more concisely, art. And we wonder if our love was ever there at all?